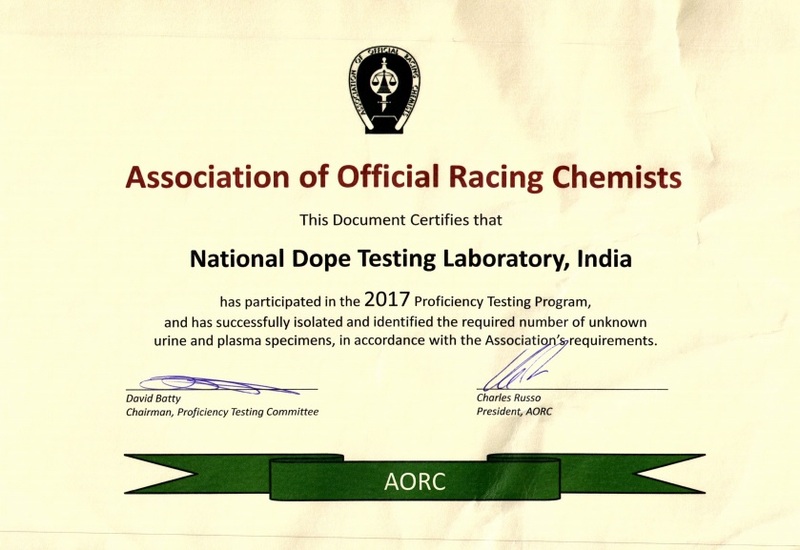 NDTL got the WADA accreditation on Sept 21, 2008 . 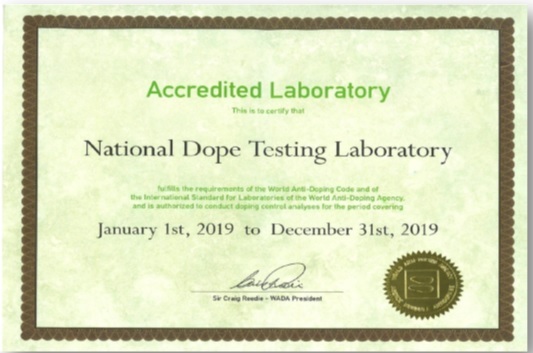 The accreditation of WADA is granted on yearly basis and based on the evaluation of the proficiency testing participation results for the year 2018, the WADA accreditation status is extended for the year 2019. 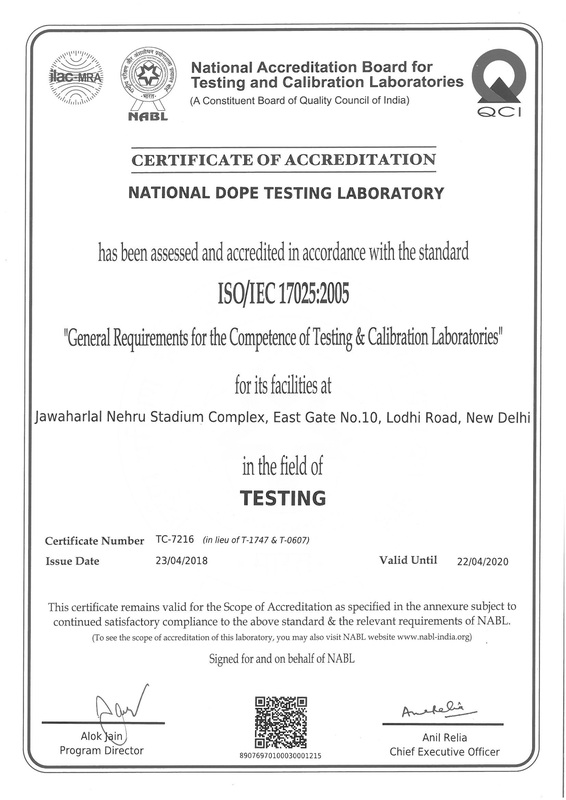 NDTL is accreditated to ISO/IEC 17025:2005 by NABL in the field of Chemical and Biological testing in Human & Horse dope testing. 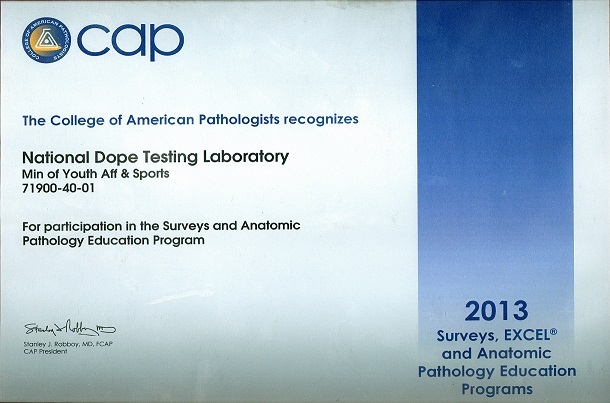 The NDTL has been participating in College Of American Pathologists (CAP) Proficiency Testing (PT) Program from 2004 onwards. 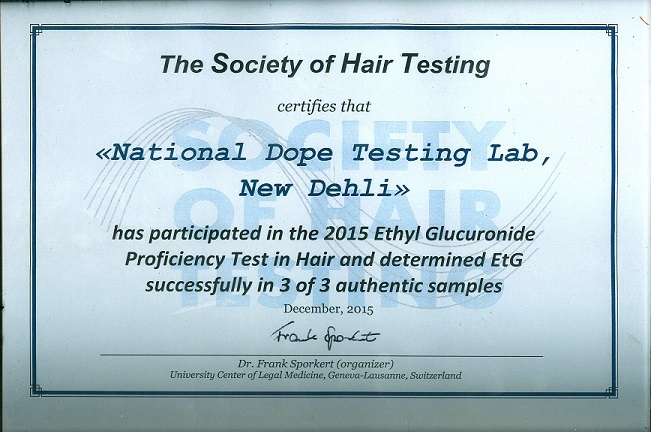 The accreditation of CAP is based on the performance of the lab in PT surveys received and reported 3 times in a year.